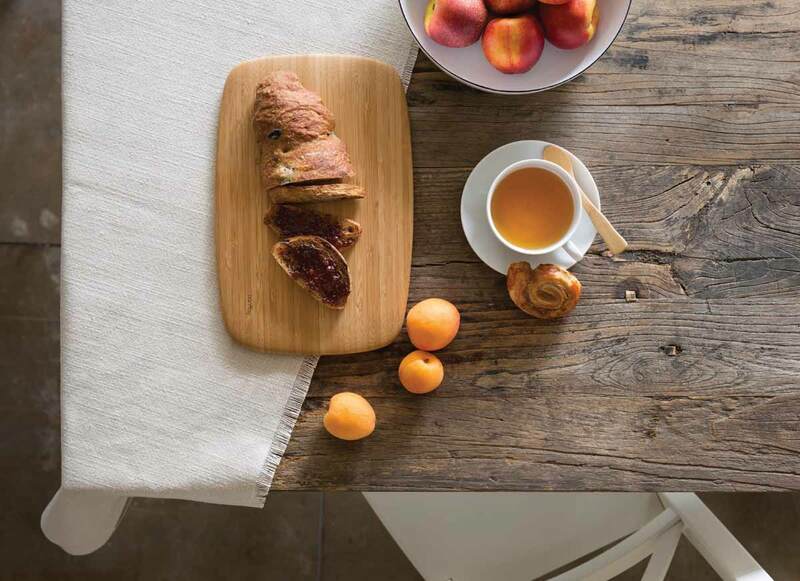 This bamboo cutting board is not just a sustainable decision, they are tough enough for chopping, yet also make beautiful serving platters. Stylish enough to leave on your worksurface when not in use. 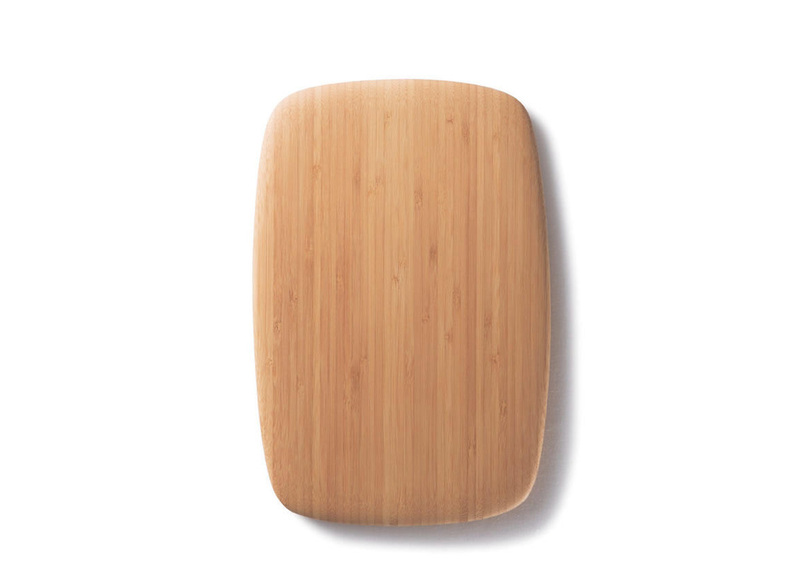 Bamboo is an excellent material for chopping boards, as they are so anti-bacterial that the wood actually neutralises bacteria left on the surface. 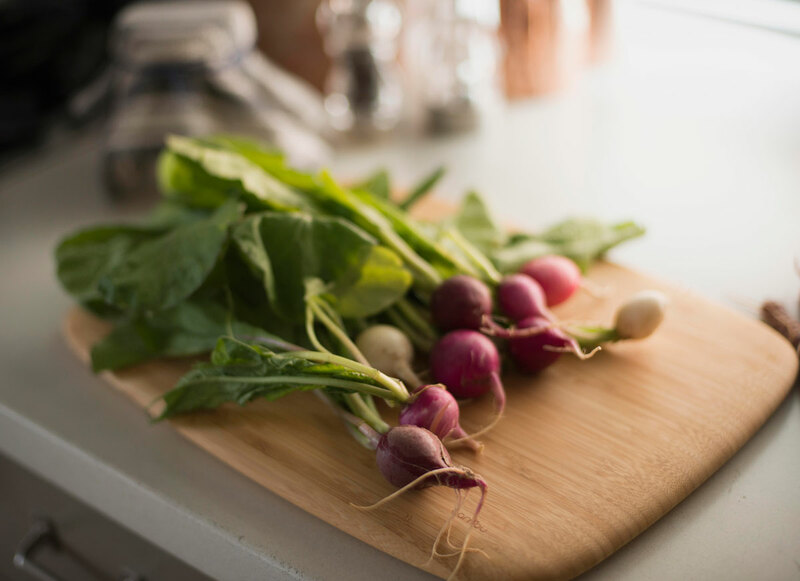 This is perfect for young children, elderly, or people with low-immune systems, as the wood is naturally kept more sterile than traditional wooden chopping boards. Bamboo does not absorb moisture very well, so will not absorb pungent smells like garlic and raw onion as much as traditional wooden chopping boards. It also means that the wood is less likely to rot. 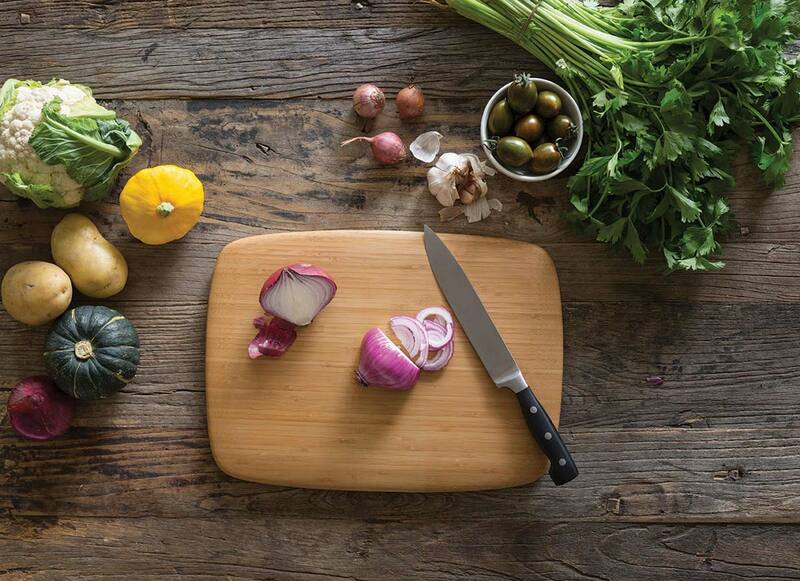 The wood is shaped by hand for a smooth finish, so each cutting board is unique. It is then finished with a natural food-safe oil to increase the life of the chopping board.